The ability to promote your products via Google Shopping Ads is one of the biggest benefits of being a business with an online store in this digital age. Whether you’re a brick and mortar boutique with a small digital presence, or a well-established ecommerce store, Google’s option for advertising via their Product Listing Ads (PLAs) is an ideal choice for increasing traffic to your site in a cost-effective way. One reason why Google Shopping PLAs have been so successful is because in addition to the great visibility they provide, advertisers have the full control of managing a digital advertising campaign that they would have while managing a Google Search or Display Ads Campaign. Whether you are a business owner hoping to advertise your products using PLAs, or you simply want to better understand how brands get their products featured under the Google Shopping tab, look no further than this blog post for a comprehensive primer. Google PLAs appear in the “Shopping” section (found under Google’s search box), within the “Images” section under the search box, to the right of Google’s search results, and on partner sites, like YouTube. Be sure to enable Search Partners to show up on a variety of partner websites. PLAs display a product’s image and its title, price, the name of the store, and sometimes more. They are meant to give users an extremely strong sense of the product before they even click on it. The more information that can be provided to attract the right prospects, the more qualified those leads will be. Promoting your products profitably on Google Shopping requires the skillful setup and management of the ads. Like a Search Ads campaign where an advertiser wins ad placements based on their bid strategy, Quality Score, etc., Shopping campaigns also require a bidding process. However, one of the big differences between Google PLAs and Search or Display Ads is that PLAs use product data from the Google Merchant Center to determine relevance, not keywords. Your ad bid for a Google Shopping Campaign is analyzed using Merchant Center information where product data indicates matching inventory. The Merchant Center is where an advertiser can upload and store product data with feeds that contain all the information on the inventory that they want to sell. Google makes it extremely straightforward to create your Merchant Center account. You need to ensure that everything you submit about your products is of the quality you’d show to a customer. Google emphasizes that the product information you submit is the foundation for your Shopping ads. When you have your Merchant Center properly set up, Google can analyze your product feed, your website, and your bids to determine the types of searches that trigger your ads to appear. Setting up shopping ads is reminiscent of optimizing a website for search engines. Ultimately, Google algorithmically decides when your PLAs show up. Be sure you’re following Google Shopping’s policies so that your ads re not automatically prohibited. Check out the requirements for advertising on the Google Network here. 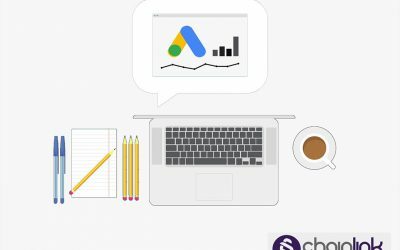 Your Google Shopping campaign still lives on the Google Marketing Platform, and you manage and optimize everything in a similar way as you would for Search Ads and Display Ads campaigns. Starting a Google Shopping Campaign is as easy as starting a new campaign in Google Ads and specifying the campaign type as “Shopping” instead of Search or Display. You need to optimize your product data and structure your inventory if you want your Google Shopping Ad campaign to be a success. In order to structure and launch your campaign in the most effective way possible, it’s important to optimize product images, titles, descriptions, and product category. 2) Creating product groups based on a common Target return-on-advertising-spend (ROAS) to maximize ROAS. 3) Creating product groups based on a common bid/advertising goal that can be automatically adjusted (enhanced cost-per-click) in order to maximize conversions. 1) Item ID – The identifier (ID) for each product. 2) Brand – The manufacturer of a product. 4) Product Type – An attribute assigned based on a user’s categorization. 7) Sales Channel – Are products sold in a physical store (attribute = “Local)” or through an e-commerce store (attribute = “Online’). 8) Channel Exclusivity – Whether products are sold locally, online, or through both channels. Once your PLA’s are good to go, the next step is to make sure they are achieving your goals. Every campaign has different goals and different data tracking needs. For example, if you categorize your product groups, products, and bids you’ll be able to track important metrics without much extra work. Sometimes simply honing in on the most relevant or important metrics is the hardest part. 1) Clickshare (clicks received divided by estimated maximum number of clicks that you could’ve received). Tools to maximize your budget are available to advertisers who are doing Google Shopping Campaigns. For example, the auction insights report and bid simulator tool. Meanwhile, the auction insights report tool lets users see how their advertising stacks up against other advertisers participating in the same auctions. The point is for that information to help you make strategic decisions about bidding and budgeting choices by showing you where you and your competitors are succeeding (and where you may be missing opportunities). The bid simulator basically takes the guesswork out of the possible consequences of certain bids. The tool gives you a ballpark estimate of your advertising results over the previous seven days if you’d set different bids. Hopefully, it helps you clarify how one product group bid could affect your traffic and conversions. Depending on your brand and industry, there are definitely times that you want to cast a wide net and target a broad audience. However, it might not be the best plan if you have a more niche target audience. If your clickshare is lower than it should be, there are two things that Google recommends: implement negative keywords, and make sure your PLAs are optimized for mobile. Specifying negative keywords basically means specifying what keywords you never want one of your PLAs to appear for. Negative keywords are great when you’re trying not to display your products to the wrong audience. 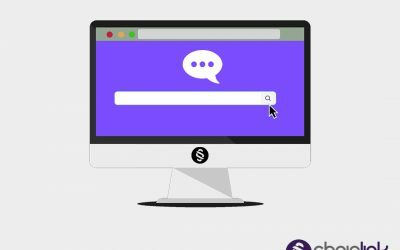 However, it’s smart to use negative keywords sparingly and to review negative (and regular) keywords on a regular basis so you can adjust accordingly. Google Shopping gives advertisers the option to enable automatic item updates. When this automatic process is enabled, every change you make to product information on your site will update on your Google Shopping PLAs, too. This is extremely helpful to safeguard against mismatches between your website and your Shopping ads. Not only is this confusing for your customers, but it will also cause Google to disapprove your PLA. Automatic item updates are pretty easy to set up, and they can save you plenty of time and headaches in the long run. Google walks advertisers through the process, which involves structured data markup. We mentioned how advertising using Google Shopping PLAs is different from the popular alternatives, Google Search and Display Advertising. 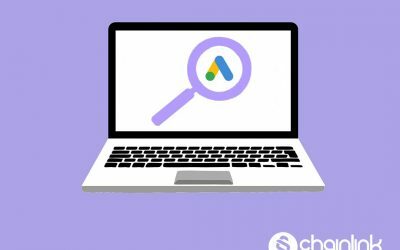 One of the defining differences is the fact that Google Shopping is product feed-based rather than keyword-based like Google Search Ads and Display Ads. If you have a massive online store with hundreds or thousands of products then chances on you need a more efficient way to make sure your product data is meeting Google Shopping’s requirements. Thankfully Google has something in place called Feed Rules, which makes it possible to export and submit your product database and then transform your attributes and values to meet Shopping specifications directly in Google Merchant Center. Just like there are plenty of rules for best practices for keyword optimization, there are steps that can be taken to use these Feed Rules to efficiently deliver product data that is error-free. We hope this article shed some light on how to use Google Shopping Ads to your company’s advantage in 2018. As you’ve seen, PLAs give you an advantage in one of the competitive digital age of ecommerce. 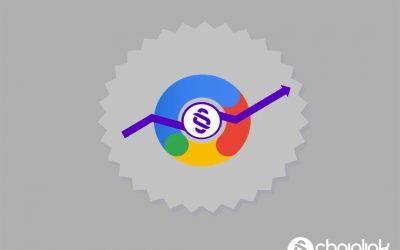 At Chainlink, our team of Google Ads experts can help you get the most out of every dollar you spend on PLAs. We have experience running Google Ads campaigns with a range of clients with different budgets and needs. We understand that every ad budget is different and we enjoy finding creative ways to help you achieve the greatest ROI possible.